On the subject of images.. I could have edited these further to reduce grain/increase quality. â€¢ Make sure the game is running in the correct aspect ratio and isn't stretched or skewed horribly. Sometimes it's really difficult to deal with certain images, so just try your best. 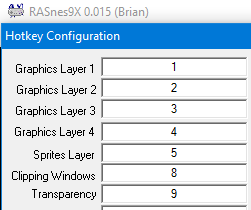 â€¢ Disable bilinear filtering in the emulator, usually in a display or video menu and enabled by default. It blurs the game. Depending on the game and situation, an HQ4x filter could look okay, but the native pixel art usually looks much better and official. Notice how the outlines seem spotty, fuzzy or screwed up while other parts look sharp; it's very inconsistent in comparison to the native pixel art. Bad aspect ratios or improper or low resolutions can result in the same thing. In this case, there could have been bilinear filtering, but it also could have been a small screenshot they tried to upscale, or they just uploaded a tiny screenshot that got resized. You can increase the game's window size/resolution to get a better screenshot of this, or you can make sure to preserve hard edges and aspect ratio when upscaling in other software like Photoshop. â€¢ Use a 64x64 resolution for your badges to ensure the output matches the input, otherwise it will be resized or stretched when you upload it. At the very least, make sure it's a perfect square. 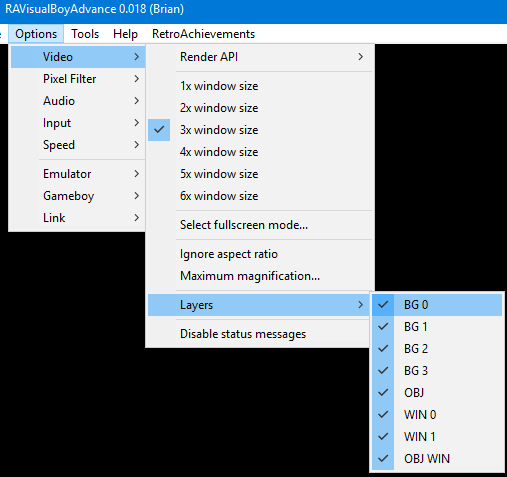 â€¢ After making sure your aspect ratio is correct, change the emulator's window size relative to what you're taking a screenshot of. The text doesn't fit in with the rest of the image. Also the Pokemon set I screenshotted above. â€¢ Toggling rendered game layers can help you screenshots the assets you want. You can usually assign them to hotkeys to toggle them faster. â€¢ A lot of the same info from above. I haven't actually followed all my guidelines since the beginning, because they developed over time and most of the times I neglected them were in my old sets--my newer sets have much better badges. I would like to change a lot of my badges, but it takes a lot of time and I haven't got to it. There's a lot more that can be said, and I'll probably edit this a few times, but I'll leave it here. Should this get posted to guides or something? 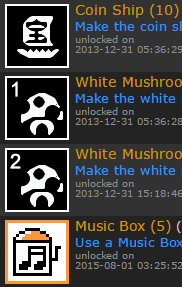 This kind of post is why we should have stickies. from to . Reason: The high contrast makes very hard on the eyes. Used a close up of manual game art. from something that looked kinda like this (was just a image of Bill, but without ground or a bullet) to . Reason: felt visually basic and had room for improvement. from an image very similar to , but very pixelated and much further zoomed out. to Reason: subject was too small, pixelation distortion. Also, on both Zelda and Contra I made a number of different mockups of badges and polled players in chat on which they felt were most appropriate and looked best. Not sure when the Castlevania games icons were changed, but I see that they are all attempting to match with the site's default (and they don't match) CSS. I think that's when it gets a little too far, since all RA users already have access to customize the site's background when logged in. I've changed these Castlevania icons. 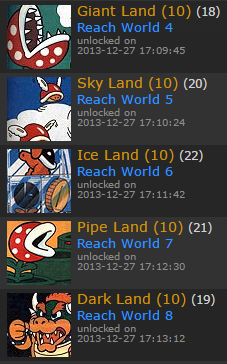 The main goal was to make them sorta unified (to clearly resemble games of one series/franchise). The attempt to match it with default layout was secondary, although I mostly just wanted to use a dark background. So if you're updating badges there's no need to save copies of all the old badges to another site like imgur. Just take note of all the old badge numbers and list them in a thread topic. This is important as it's showing your work. In cases where reverting work is necessary it will be straightforward and no ones efforts are lost. Why not, like a wiki, have an interface that displays logs of previous edits? Until we have a wiki-like system we'll need to make do in this way.